Edinburgh is set to host the International Federation of Sport Climbing�s (IFSC) European Championships 2019 for lead and speed after being awarded the Championships by the international governing body. 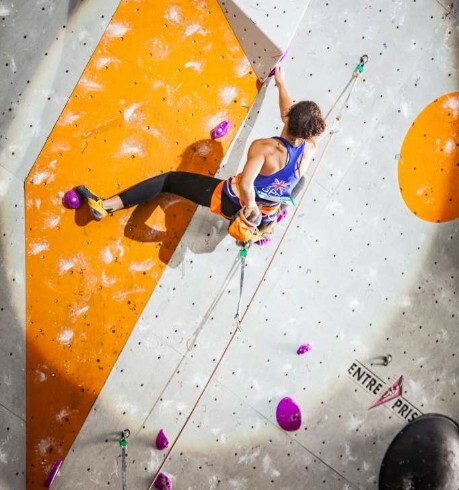 The event, which is held biennially, went to EICA Ratho following a joint bid by EventScotland, City of Edinburgh Council, the British Mountaineering Council, Mountaineering Scotland and Edinburgh International Climbing Arena (EICA):Ratho, Europe�s largest indoor climbing arena. The European Championships will take place from 5th to 6th October 2019 and will be a chance to see some of the best climbers in Europe compete ahead of the sport�s debut at the Tokyo 2020 Olympic Games. It also follows the successful delivery of the IFSC World Cup when EICA:Ratho took centre stage for the fifth World cup in Lead and Speed of 2017. The sold-out event attracted more than 1,200 spectators, athletes and coaches. Jamie Smith, ClimbScotland Team Leader, said: �Mountaineering Scotland is excited to welcome the IFSC European Championships to Scotland this year. It is great to see our National Centre being host to the competition, which will see some of Europe�s top climbers battle it out over the two days of competition. Paul Bush OBE, VisitScotland�s Director of Events, said: �This is a great result following all the work that has gone into securing a second successive climbing event for Edinburgh after the success of the World Cup at EICA: Ratho in September 2017. Scotland is the perfect stage and EventScotland is delighted to be supporting the return of international climbing to the Scottish capital. Photo by Euan Ryan - Final Crux Films.